Welcome to Solar-powered-Garden-Lights.net . Use this information about lighting techniques, concepts and solar energy products to your benefit and the benefit of your night time garden. Throughout I have kept the language as human and straight-forward as I can and often will use an image to spare that "thousand words". 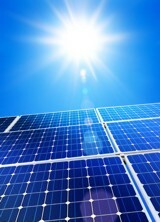 Consumers, friends and neighbours often seem to regard solar technology as emerging technology. Not quite so, as solar technology has actually been around for quite some time while solar powered garden lights are relatively new. I remember the days when one could be regarded as a Hippie/Technocrat for even discussing solar and energy efficiency, let alone solar powered garden lights. Those days are gone…mostly. We all have questions…Here are some answers. Explore! 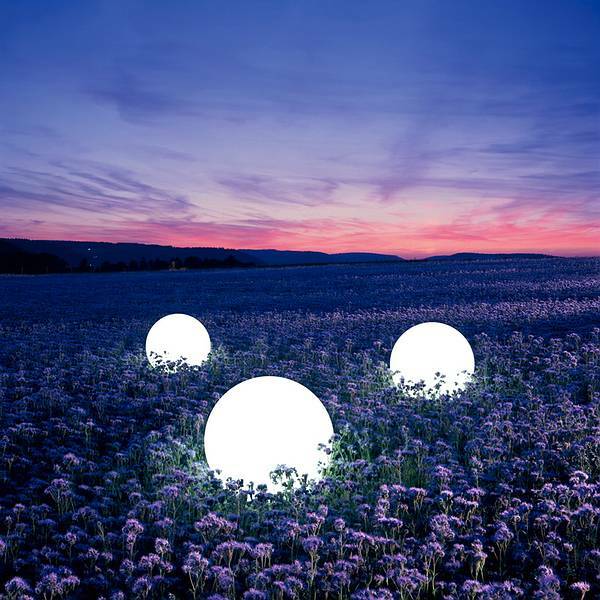 Solar-Powered-Garden-Lights are transforming the way we think of light. Electric light energized by the Sun is more than just practical…it’s poetic. Well designed lighting brings out the special beauty of the night garden. It illuminates the best features, leaving dark those we wish to conceal. A garden in bright daylight is a play of colour, texture and form. At night the same garden wears a an sense of mystery as light and shadow reveal some parts and hide others. A tree looms mysteriously above the grass. Moonlight captures the varied textures of a flowerbed. A wall or path is sensed in the darkness. There is magic and beauty in the night garden. Solar-powered-garden-lights offer a set-it-and-forget-it appeal which cannot be over emphasized. Like one of those simple yet brilliant ideas we all had as children, solar garden lights are a product of poetic genius. Solar-Powered-Garden-Lights are inexpensive (relatively speaking) with prices beginning around $16.00. They are available in a variety of styles and you will find spot lighting, flood lighting, accent lighting, floating pool lights, decorative and novelty lighting. To this you can add flashing or colour-shift special effects. These convenient light fixtures can be mounted on walls, floors, soil or suspended from trees and they operate without wires throughout the year. For some special effects, you may find lighting systems Some of these light sources come with a stake, so you may literally stick them into the ground and walk away. I cannot say enough about the almost set-it-and-forget-it appeal of Solar-Powered-Garden-Light fixtures. They’re inexpensive, require little assembly, generate far more light than you might expect and an excellent return on your investment. They can be for decorative or spotlights for security purposes and both types may be motion activated. They can be repositioned at will for special occasions without need to damage landscape. 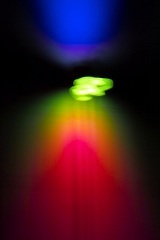 Some lights produce a steady beam of white light, while others may blink and transition through a range of colours. Even the use of colour for the sake of colour should not be feared, but explored. If you are thinking about colour for your garden, then see the special section right here. Avoid cheap lights because they don’t last. If it’s a flimsy plastic housing, don’t buy it. Aluminum is good and heavy plastic is cheaper and works just as well. 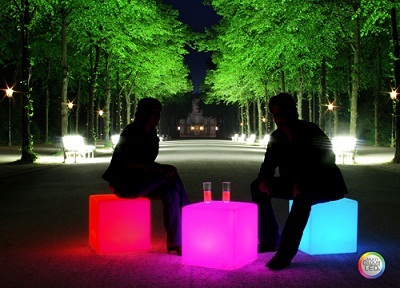 Using Coloured Light in your Garden? Would you like to share your knowledge about solar-powered-garden-lights? Contribute to www.solar-powered-garden-lights.net!